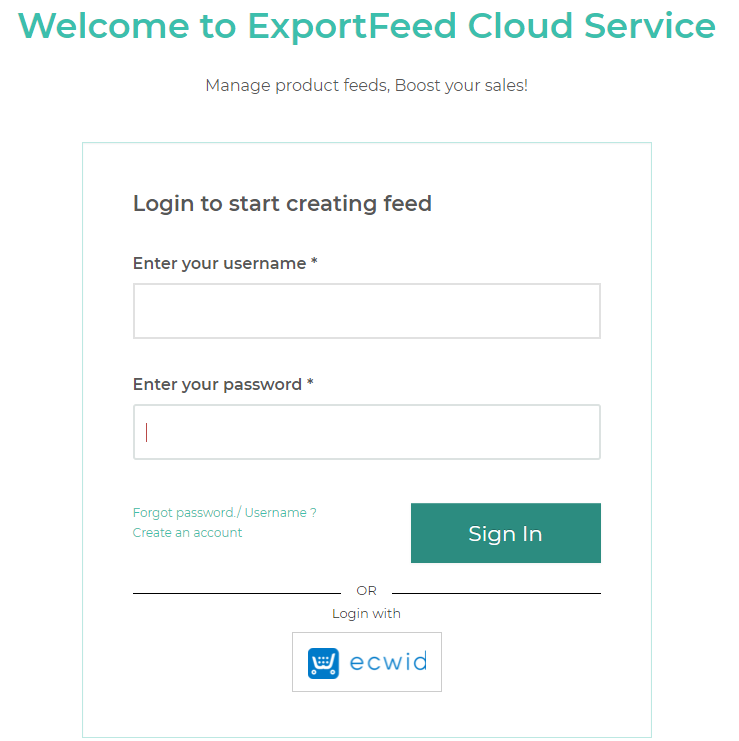 Before you can create data feeds using ExportFeed Cloud Service, you will first need to sync your product data to our servers. Follow the steps below to set up your Rapid Cart service. 2. 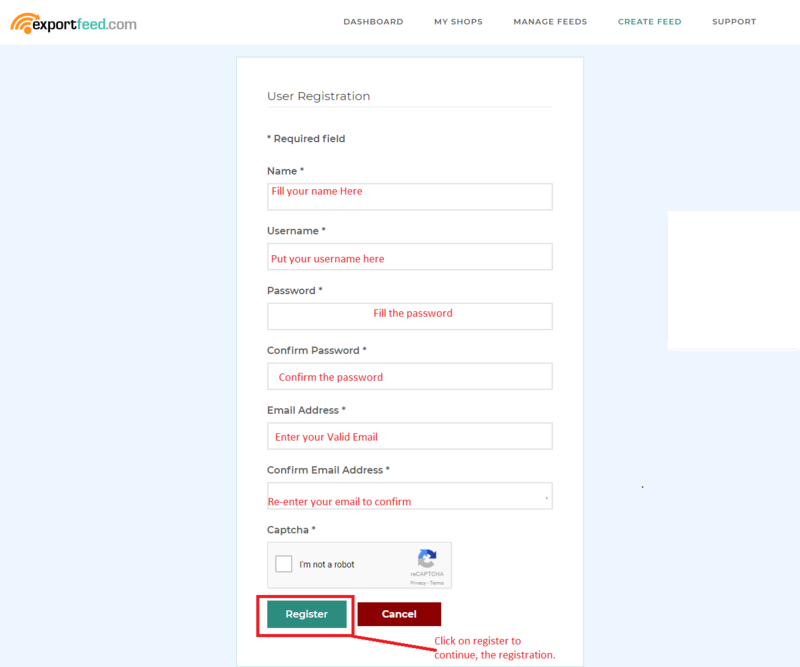 Register the account and create it, by clicking on create an account. 3. 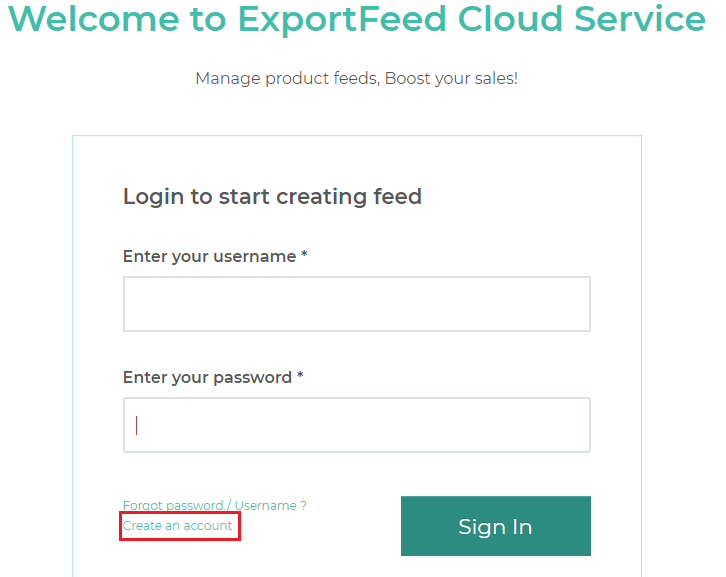 Fill the required fields to create the account in ExportFeed Cloud Service. 4. 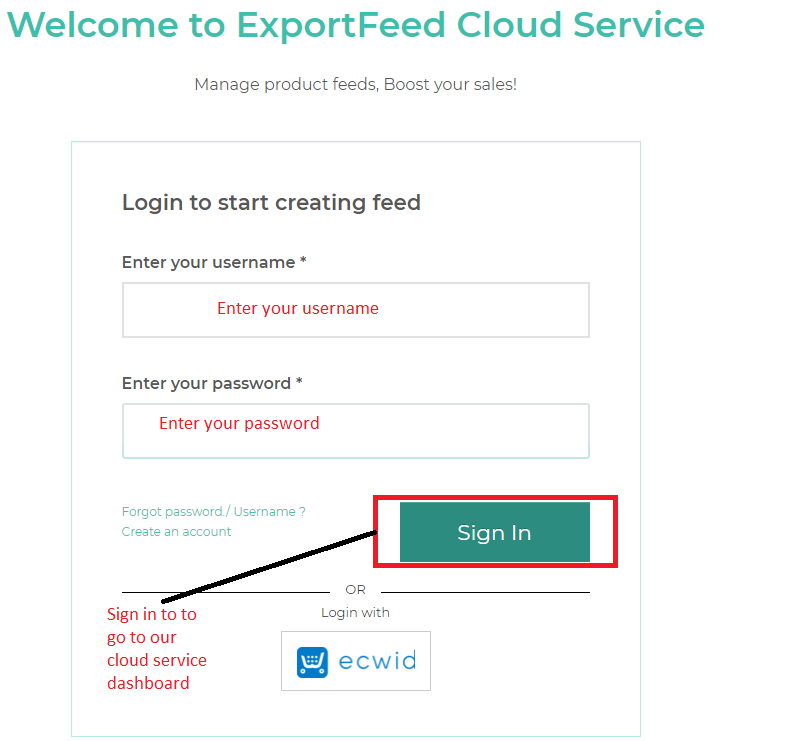 After you register then your Account in our Cloud service is created, Fill the username and password to go to our cloud service dashboard. 5. After you log in you will be redirected to our cloud service dashboard. 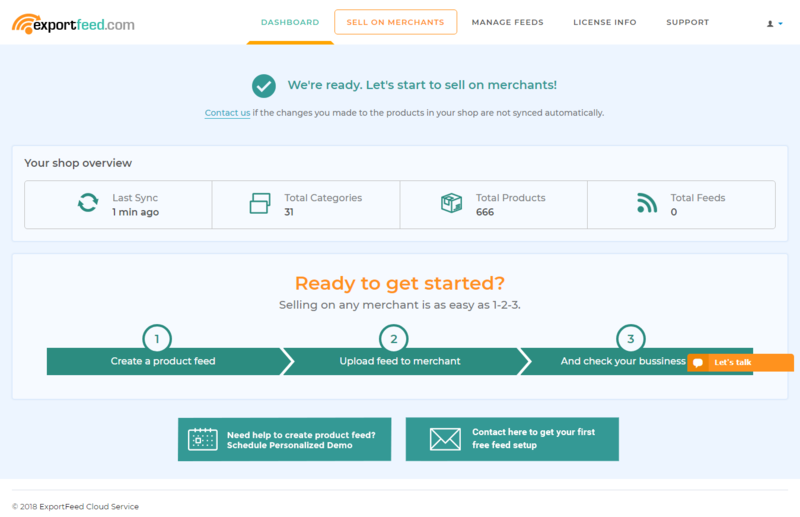 You will see the option to install the store( WordPress, Shopify, OpenCart). 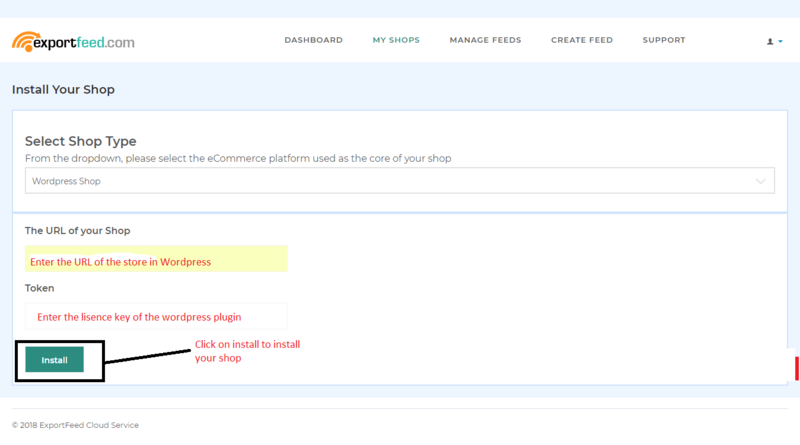 You need to select the WordPress shop to install your WordPress shop. 6. After selecting the shop please enter the URL of your WordPress shop and the license key used in your WordPress shop and press on install. 7. Once the installation is completed, your shop will start syncing with our cloud service. 8. 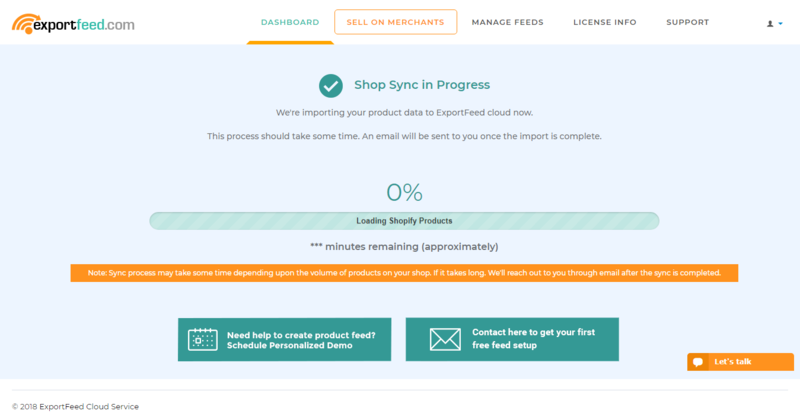 And once the shop sync is completed, we will send you Email and the product count and the product category will be shown. Note: We would recommend you to use our WordPress plugin.